Does John Avon need any introduction? Magic players often don’t pay that much attention to the artist credit on their cards, yet John Avon’s name is still known to many. 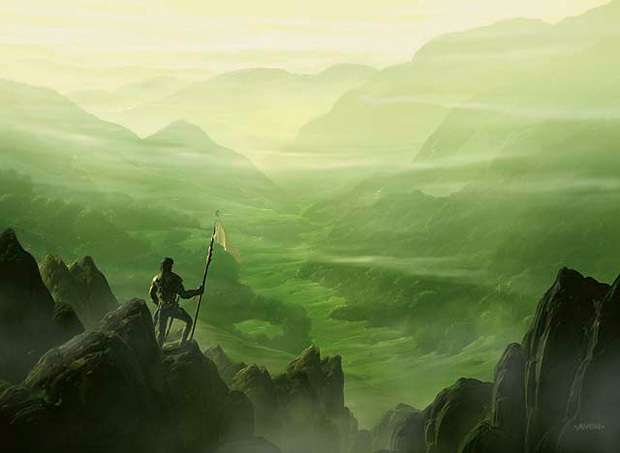 His lands especially have captured the attention of many players, and his full frame lands from the otherwise derided Unhinged set command a significant premium. 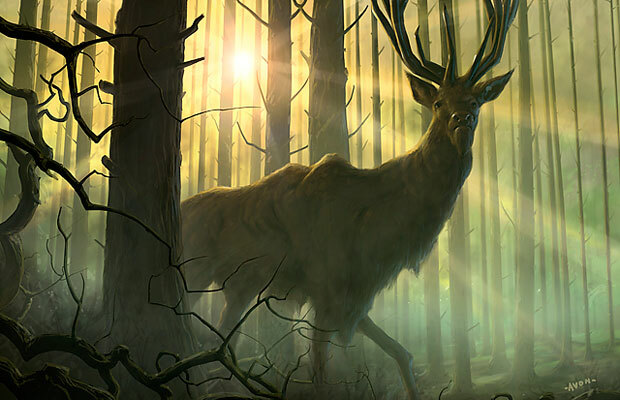 In this card we have John’s ability to paint lands combined with an excellent animal figure. So technically this art is not a land, it’s a spell card that allows you to bring an extra land into play! A great opportunity to showcase John’s great landscape paintings. The mystical plane of Kamigawa used five different artists for its basic lands. 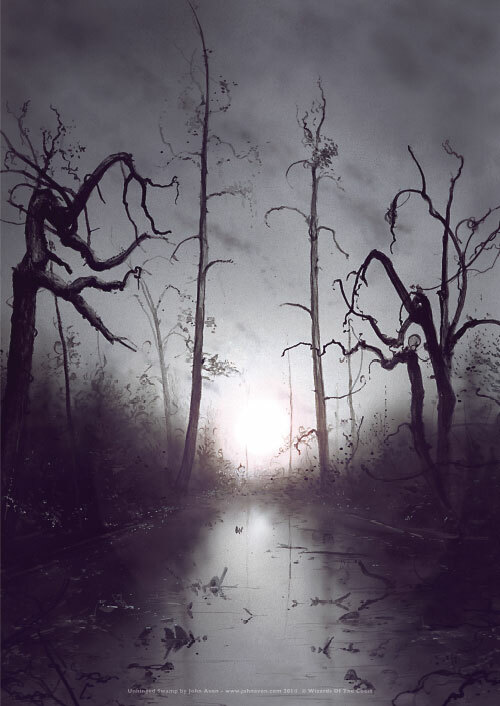 Each artist submitted a panorama that was then cut into four piece to make four different land card arts. This was always my favourite of the mountains. 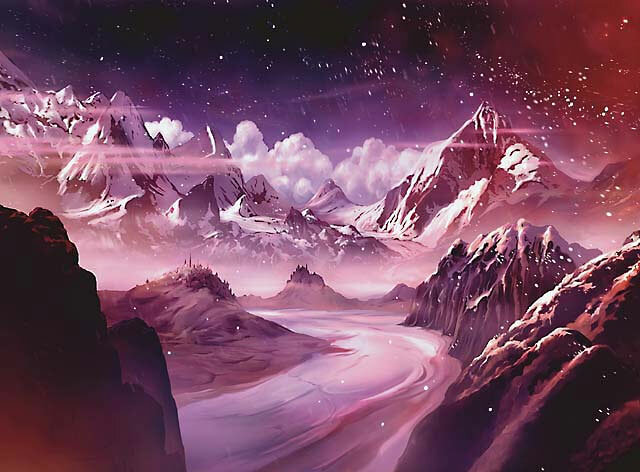 The ‘vivid’ land cycle originally appeared in Lorwyn and has been reprinted several times since, notable in the Commander deck series. These lands tap for a particular colour but can also tap twice for any colour. 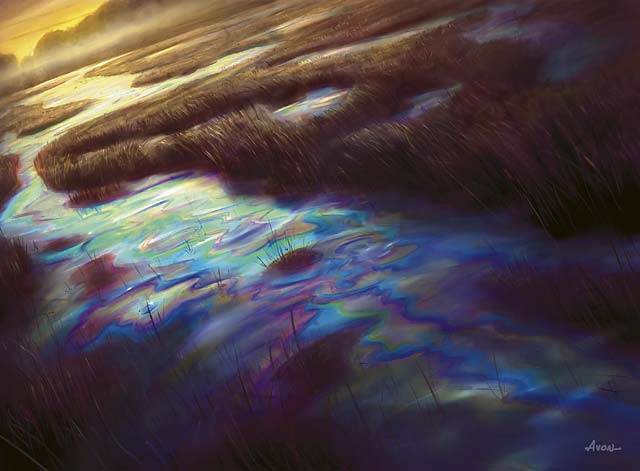 John used oil slicks on the marsh to show that the usual colour is black, but other colours are possible in lesser quantities. To see more you can visit the artist’s website or click to see all cards illustrated by John Avon. This entry was posted on November 28, 2015 by davekay in MtG Artists, Uncategorized and tagged art, fantasy, john avon, magic, magic the gathering.